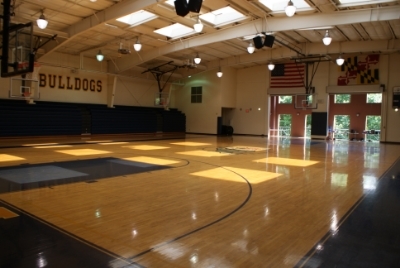 Enjoy a Bullis game in our 2,000-seat stadium. Our athletes perform on a brand new turf field and 6-lane all-weather track. 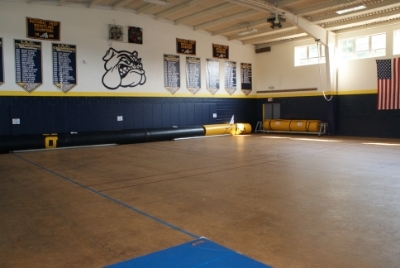 Join us in the Bullis Athletic Center during the winter season for Bullis Basketball and Wrestling. Newly renovated baseball and softball fields feature in grounds dugouts, hitting cages and bullpens. 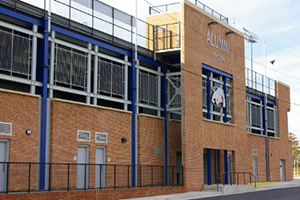 Come get a great view of Bullis Baseball from our new grandstand. We have fantastic athletics fields for our soccer and field hockey teams in the fall and lacrosse teams in the spring. Take a run and enjoy the views on our cross country trail. 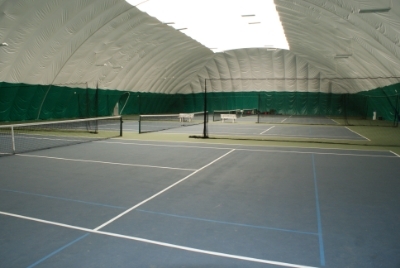 Rain or shine, our tennis programs are able to practice their skills on one of our seven outdoor courts or inside our tennis bubble.